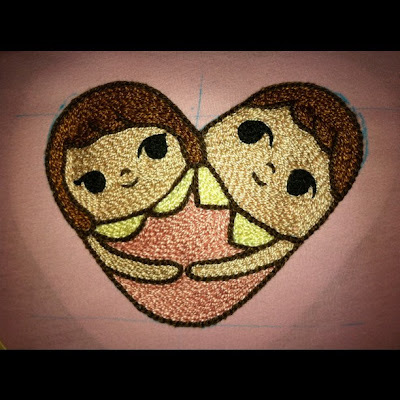 "I'm Bell, I'm from Thailand, I'm just a little bit crazy and I love hand embroidering." Here's work by one of the stitchers-I-stalk via Instagram. Everything is solidly stitched (chain stitches?) and so neatly done. I'll let you discover the rest of her unique work for yourselves! That is so cool! I would love to know how to do that!